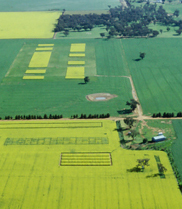 The 1st International Workshop on "Semantic Machine Learning and Linked Open Data (SML2OD2013) for Agricultural and Environmental Informatics" will be held in conjunction with the 12th International Semantic Web Conference (ISWC 2013), 21-25 October 2013, in Sydney, Australia. Historical and spatial big data from the environmental and agricultural domains already exist in the modern technology-driven world. Government agencies, utilities and research bodies already have large amounts of data, but their value is not being fully realised because they are not integrated and consequently big knowledge is difficult to access. Semantic web, semantic machine learning and linked open data technology may help to build an "outer knowledge layer" so that this information could be accessed by domain people and the broader community. It can also be used to answer complex dynamic queries at run time from the system point of view. Semantic based precision agriculture (ie viticulture, dairy system). To bring together scientists, industry and domain experts to assess how academic advances are addressing real-world requirements. The workshop will strive to improve academic awareness of industrial and final user needs, and therefore direct research towards those needs. Simultaneously, the workshop will serve to inform industry and user representatives about existing research efforts that may meet their requirements. The workshop will also investigate the evolution of environmental linked data. To examine big data integration and big knowledge management in the context of the environment. This results in scalable tailored systems solving domain related problems. All papers must represent original and unpublished work that is not currently under review. Papers will be evaluated according to their significance, originality, technical content, style, clarity, and relevance to the workshop. At least one author of each accepted paper is expected to attend the workshop. Full research papers (up to six pages): Original research papers are invited, presenting various aspects of real world applications of the linked open data concept, machine learning and semantic web technologies applied to agricultural and environmental informatics. Each accepted paper will receive a short (15 minute) presentation slot followed by a five minute open discussion. Late Breaking News papers (up to two pages): Short communication research papers are invited on any ongoing research work, unpublished results, theory, concept and potential future applications. All submissions must be written in English and must be formatted according to the LNCS style. Please submit your contributions electronically in PDF format to EasyChair. The venue for this workshop will be the Sydney Convention & Exhibition Centre, Sydney, Australia.